Create an integrated look for your business. We are proud to be able to provide our clients with fully-integrated print design services to compliment our web work and vice versa. All your marketing initiatives should have the ability to be integrated, from your website, to your business card, to your product catalogs. 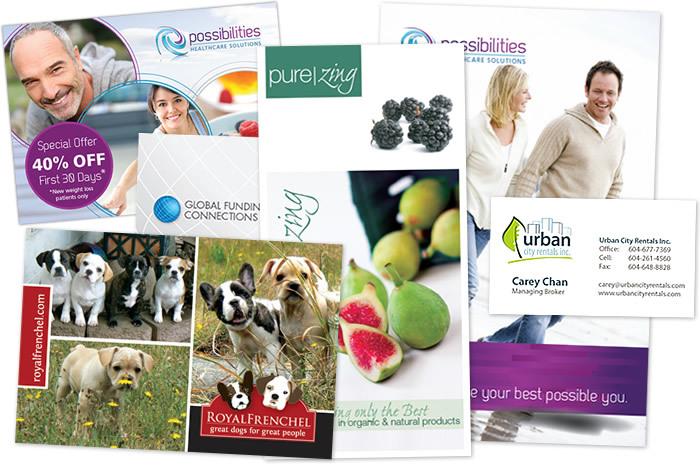 We can produce print work to align with your existing brand image, or we can start from the beginning and design a new look for all your communications, from print to online.